Following are excerpts from a panel discussion entitled "Separation of Powers and Foreign Policy" which was part of the Federalist Society's 1999 National Lawyers Convention. The convention took place November 11_13, 1999 in Washington, D.C. PROFESSOR YOO (Moderator): Those of you who follow the war powers issue will have noted many unilateral uses of force and military interventions by the Clinton Administration. In addition to the conflict that the Administration took over in Somalia, it has sent troops to Haiti, Bosnia, Rwanda, and, as we all know, most recently to Kosovo. It has also used force in places such as Iraq, the Sudan, and Afghanistan. These interventions have raised some difficult constitutional and political issues. For example, Democrats who during the Reagan and Bush Administrations often claimed that such interventions were unconstitutional without a declaration of war or congressional support I think found themselves in a tough position when they were supporting Clinton Administration interventions, none of which received statutory approval or authorization by Congress beforehand. So, for example, in Kosovo, a number of resolutions were passed by the House, but none of them provided President Clinton with authorization, at least in the sense used by the War Powers Act, to use force in Kosovo. They were rather resolutions that supported the troops, as it were. There were also, of course, statutes that provided funding for the intervention. Republicans, on the other hand, also found themselves in a hard spot. During the Reagan and Bush Administrations, Republican lawyers made the case that the President could use force abroad on his own, unilateral authority under the CommanderinChief Clause. Yet in Kosovo several Republicans saw the light, as it were. For example, Tom Campbell not only brought a resolution to the floor of the House seeking to declare war against the former Yugoslavia, but he also filed suit in the District Court of the District of Columbia to have the war declared unconstitutional. Judge Friedman held that suit to be nonjusticiable, and I understand it was just argued in the D.C. Circuit a few weeks ago. So one issue I'd like our panelists to address is whether the war in Kosovo was or was not constitutional. Perhaps they will also address some of the other interventions. The second issue that arises from these interventions is the relationship of the United States to international organizations and affairs. For example, does the fact that the United Nations or the Security Council issues an authorizing resolution to use force make a difference of constitutional dimension? And what about the fact that American troops abroad are beginning to serve under the command of the United Nations or foreign nations? I couldn't think of a panel better suited to address these questions, and I'm going to introduce them all now, rather than break up the continuity of the panel. Our first speaker will be Ben Cohen, the Executive Director of the House Republican Policy Committee, which is chaired by Chris Cox, a Republican from California. Ben went to Yale College and graduated from Chicago Law School, where he was an editor of the Law Review. He then clerked for Judge Laurence Silberman of the D.C. Circuit. He was Associate White House Counsel under President Reagan, Senior Counsel in the Office of Legal Counsel of the Justice Department, Deputy Assistant Attorney General for the Environment and Natural Resources Division, and then Of Counsel with Swidler and Berlin here in D.C. before coming to his present position. After him will be Lou Fisher, a Senior Specialist in the Separation of Powers of the Congressional Research Service of the Library of Congress. Lou is the author of numerous books. Most relevant here are his book on presidential war powers, which came out just a few years ago, and Constitutional Conflicts Between Congress and the President, a book used in many college and law school courses. He is also the author of more than 250 articles in law reviews, journals, magazines, and newspapers, and has testified before Congress on separation of powers, war powers, presidential powers, and the budgeting process. Lou received his Ph.D. in Political Science from the New School for Social Research. 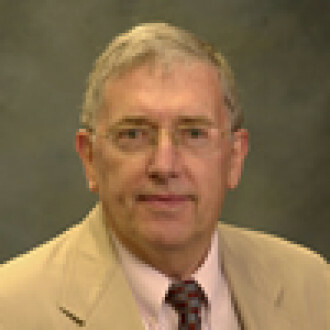 He has taught at several schools, including Georgetown, Johns Hopkins, and William and Mary. 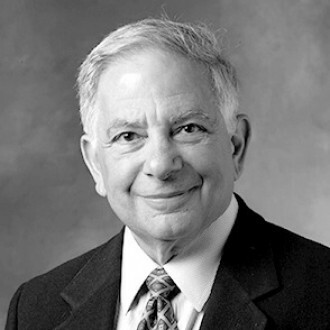 After him will be Judge Abraham Sofaer, who is the first George Schultz Distinguished Scholar and a Senior Fellow at the Hoover Institution. He also teaches Transnational Law at Stanford. From 1985 to 1990 Judge Sofaer was a Legal Advisor to the United States State Department. Before that, he was a federal district judge in the Southern District of New York and a professor at the Columbia Law School, where he authored one of the classic texts in the war powers field, War, Foreign Affairs, and Constitutional Power. Before going to Columbia, Judge Sofaer was an Assistant U.S. Attorney in the Southern District of New York, and clerked for Judge Skelly Wright and Justice William J. Brennan. He is a graduate of the New York University Law School, where he was EditorinChief of the Law Review. He received his undergraduate degree from Yeshiva. 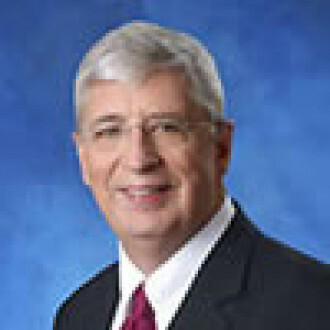 Our final speaker will be Walter Dellinger. 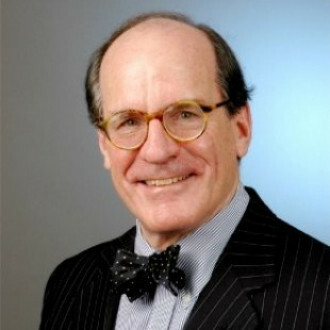 Walter is a partner in the D.C. office of O'Melveny and Myers and also the Maggs Professor of Law at Duke University. From 1993 to 1996 he was the Assistant Attorney General in charge of the Office of Legal Counsel where, amongst other things, his office issued opinions on the wars in Haiti and Bosnia. From 1996 to 1997 Walter was the Acting Solicitor General. Walter received his law degree from Yale, where he was an editor of the Yale Law Journal. He received his B.A. from the University of North Carolina at Chapel Hill, and clerked for Justice Hugo Black. MR. COHEN: I'd like to start by mentioning what an opportune time it is for us to discuss the institutional relationship between Congress and the President in the area of foreign affairs. The reason is that the situation has changed markedly since 1992, in the sense that neither the Democrats nor the Republicans are institutionally in firm control of either of the two political branches in the way that they were for the previous 3040 years. So it's an excellent time for both parties and both branches to reevaluate where they stand on these issues, without the kind of institutional bias that might have crept into earlier examinations. In a certain sense we are all Rawlsians now, because we are all basically behind a veil of ignorance: we really don't know who will control the two branches after the next election. Obviously, I hope and expect that we'll keep control of the House and the Senate and that we'll take control of the White House. I imagine that Walter hopes just the opposite. But no sensible person can confidently predict the outcome, or that it will be reflective of a continuing trend. All of that has been swept away, and we really have a clear field in which people can examine these relationships without institutional preoccupations. I should start by saying that the views I'm going to be expressing here are my own; they are not necessarily those of the Republican Policy Committee or the House leadership or my boss, Chris Cox. And I should also mention that I'm going to try, insofar as possible, to be descriptive of current opinion in the House and the Senate today, rather than being normative. I want to describe, not so much the way things should be in the relations between the President and the Congress, as the way people in Congress think they should be. And that, particularly in an area which is largely not subject to judicial review, is very significant. What Congress thinks of its own powers when the question is not going to be arbitrated by the courts is a very significant factor in how it will exercise those powers. The thesis that I'll be presenting and trying to defend is that there has actually been a broad shift since 1992 in favor of the kind of broad presidentialist consensus that predated the Vietnam War era. I think that it is about half right that the two parties in Congress and the White House have reversed or are in the process of reversing their longstanding institutional positions on war powers as neatly as partners in a quadrille. The real parallel is with the positions of the two parties on the Independent Counsel statute, the proponents of which, after experiencing it in operation, came to accept the position of its opponents, who basically maintained their longstanding position. In both situations, hard cases — Watergate and the Vietnam War — made bad law, and then the memory of those hard cases finally faded and was exorcised. A potential alternative explanation is that the institutional ice age which seemed to lock the Democratic Party into permanent possession of the Congress and the Republican Party in almostpermanent possession of the White House has finally ended, and we are in a position in which these institutional biases are no longer operative. Whatever the reason, the proponents of those two broad deviations from the mainstream of our constitutional practice — the Independent Counsel statute and the War Powers Resolution — have largely abandoned their positions, while those who had opposed them have not. Possibly that is because it is not yet clear which institution and party will be most advantaged by these changes. Or possibly it is because Henry Hyde is more principled than George Mitchell, just to be completely descriptive about it. Superficially the situation looks unchanged, with only the players different: senior members of the House and Senate leadership and committee chairmen appear on the floor and wax eloquent about Congress's prerogatives, only this time they're Republicans; and a sixth lawsuit has been launched against the sitting President, only this time the President is a Democrat and 27 of the 31 plaintiffs in the suit are Republicans. The resemblance, I believe, is only superficial, not real. I think it reflects the fact that this Administration has been genuinely more farreaching in its assertions of unilateral presidential prerogatives in foreign affairs, in the case of Haiti and most particularly in the cases of Kosovo and Bosnia, than prior Administrations. You will see this if you compare President Bush in the Persian Gulf with the President in Kosovo, or even if you simply compare the actions that the President took in Kosovo with the tests that were laid out in Professor Dellinger's Haiti opinion. I think that it's simply factual, not merely subjective partisan bias on my part, to say that Congress is reacting to more sweeping assertions of presidential prerogatives than had been the case in the last several Administrations. I will now go into somewhat more detail about the different schools of thought in Congress on war powers. The first general question is whether the President can act militarily without congressional approval. I would say that the strongest form of the congressionalist theory, that specific legislative authorization is required before the President can initiate or continue the use of nondefensive force and that this requirement is judicially enforceable, is rather orphaned on Capitol Hill right now. It is not even perfectly reflected, of course, in the War Powers Resolution, which, although it recites that the President can only introduce forces into hostilities pursuant to prior legislative authorization or "a national emergency created by an attack on the United States, its Territories or Possessions," nonetheless gives a 60day grace period. It does not restrict the reasons for unilateral use of force by the President, merely the duration. Similarly, consider the lawsuit that was brought by Tom Campbell, who, by the way, has not shifted his position on this issue and has always been a proponent of a strong congressionalist view. It has 31 plaintiffs. That is not an insignificant number of members of the House, but I would compare that with, for example, the 110 plaintiff House members who were mustered for the Kuwaiti reflagging lawsuit and the 53 members of the House and one Senator who joined in the Kuwaiti liberation lawsuit. Significantly, Campbell's lawsuit has not been authorized by the House, and no members of the House leadership are among the plaintiffs. I think a fairer reflection of the current state of opinion in Congress is the way in which it has, in fact, treated the War Powers Resolution. In 1995 thenMajority Leader Dole introduced the Peace Powers Act, cosponsored by the Chairmen of the Foreign Relations and Armed Services Committees and most of the other senior members of the Senate leadership, to repeal the War Powers Resolution. The House came very close to repealing the War Powers Resolution that same year — despite the fact that the House voted on what was thought to be the eve of the deployment of 25,000 U.S. troops to Bosnia in an extremely controversial action about which the House majority had the gravest reservations, and that it followed the deployment into Haiti, another use of presidential military power about which the House had grave reservations. Nevertheless, 178 Republicans voted aye, including the entire House Republican leadership, nowSpeaker Hastert, and the Chairmen of the Armed Services, Judiciary, Rules, and Appropriations Committees. There were some prominent Republican dissenters, principally the Chairman and several senior members of the International Relations Committee. However, the measure failed primarily for lack of Democratic support — only 23 Democrats supported repeal, including only one member of their leadership, and 172 voted against, including the ranking members on most of the main committees. This parallels the situation with the Independent Counsel statute, where the Republican leadership initially did succeed in preventing reauthorization, to the benefit of a Democratic Administration. And it was only at the insistence of Democrats and the Administration that the statute was temporarily reauthorized. During the debate, most of Chairman Hyde's opponents conceded that the Resolution desperately needed revision, or that the 60day cutoff in the legislative veto provisions was unconstitutional. In fact, on August 4th, 1995 (two months late, I might add) the President sent Chairman Hyde a brief letter in which he supported elimination of the 60day withdrawal provision, a position that he had already taken in Presidential Decision Directive 25 in 1994. So, that was where we were in 1995, where we substantially remain today, and where we have at length been joined by the mainstream of the Democratic Party in both chambers, so as to recreate quite a broad presidentialist consensus in Congress. I believe that the livelier questions now are two: First, whether the President's ability to use force unilaterally is, in fact, limited to either a short or a long list of specific instances (such as defense of U.S. forces, law enforcement, execution of treaties, or secrecy), or is general. That is, does the President possess, in the absence of congressional action, an unfettered ability to unilaterally use force for any reason that he sees fit? Second, to what extent may Congress limit by legislation whatever unilateral authority the President has? Congress, in the main, has never endorsed either of the very strong claims, first, that the President can unilaterally use force for any reason in the absence of a contrary enactment, or second, that it can only check the President's unilateral use of force by altogether denying him an Army or a Navy, with anything else being either an unconstitutional condition or an attempt to indirectly achieve through the appropriations power what Congress may not directly achieve through legislation. Regarding the first claim, neither party seems to take the view that the President can initiate the use of force for any reason that seems sufficient to him. In 1994 the House passed by a vote of 236182 and the Senate by a vote of 918 legislation expressing the sense of Congress "that the President should have sought and welcomed Congressional approval before deploying U.S. Armed Forces to Haiti." And this was a Democratic House and Senate. Onehundredfifty Republicans opposed that, but only because they actually wanted stronger language calling for an immediate withdrawal from Haiti. Similar legislation was passed 302-13 before the Gulf War by the House, and during the Somalia deployment. In 1998 the House amended the Supplemental Appropriation to bar the use of funds for offensive operations against Iraq unless it was specifically authorized by law. Indeed, in June 1998 the House passed the Skaggs Amendment to the Defense appropriation, barring the use of funds "to initiate or conduct offensive military operations, except in accordance with the War Powers Clause of the Constitution, which vests in Congress the power to declare and authorize war." I think what we are seeing is the at least temporary overthrow of the old dichotomy whereby Republicans favor a very long laundry list of circumstances in which the President may act unilaterally, each of which is broadly construed, while the Democrats favor a very short list of circumstances in which the President may act unilaterally, each of which is very narrowly construed. Rather, both parties have now endorsed a more expansive approach. The second presidentialist claim, that Congress is severely limited or even barred in how it can affirmatively limit the President's use of force, has also not found wide favor. Chairman Hyde, for example, in supporting repeal of the War Powers Resolution in 1995, said that "There are a couple of things we ought always to bear in mind: First of all, the Constitution says that the President is CommanderinChief. The second unshakable, immutable, and important point is that we always have the purse strings clutched in our hand and we can pass a bill, and we have passed several, to withhold funding for certain military operations. That is the effective way to work our will, should we disagree with the President." President Nixon's veto message on the War Powers Resolution made much the same point, and examples, even recent examples, abound in which Congress has qualified the President's ability to use force, including the House's passage, in April 1999, by a rather wide margin, of an amendment barring ground forces in Kosovo absent specific legislative authorization. I do think that most members accept that there are many aspects of the CommanderinChief power that they cannot constitutionally control through either direct legislation or the spending power, principally issues like tactical military decisions. But the much broader claim that their ability to use the spending power is extraordinarily limited, that the only decision they can make is whether to or whether not to give the President an Army or a Navy, has not been accepted. In conclusion, I think that in some respects it is the best of times and in some respects it is the worst of times for presidentialists in Congress. I think that a broad, moderate consensus in favor of considerable presidential authority in this area has at least temporarily been restored. It has a generous view of the range of circumstances in which the President may unilaterally initiate the use of force, although it does not embrace the view that the President may unilaterally use force whenever he chooses. There is a broad rejection on both sides of the aisle of the War Powers Resolution as unconstitutional, unworkable, or both. There is an acceptance of limits on Congress's ability to use the spending power to control the President's CommanderinChief authority, although Congress has had no more success than scholars in delineating its precise boundaries. The tenor of our view was expressed very well by Speaker Gingrich in the debate on repeal of the War Powers Resolution, with troops in Haiti, an operation which he opposed, and with troops on the eve of going to Bosnia, another operation he opposed, when he said, "I think the American nation needs to understand that as Speaker of the House and as the chief spokesman in the House for the Republican Party, I want to strengthen the current Democratic President because he is the President of the United States. And the President of the United States, on a bipartisan basis, deserves to be strengthened in foreign affairs, and strengthened in national security. He does not deserve to be undermined and weakened." But I would also say that in some respects it is the worst of times, or may soon be the worst of times, for presidentialists in Congress. In these war powers debates, people always cite the old saw from Shakespeare that it is excellent to have a giant's strength, but tyrannous to use it like a giant. That, I think, may give something of the wrong flavor. If the President is acting strictly in accord with his constitutional powers he is not exactly being tyrannical, but he may be acting in a selfdefeating or selfdestructive way. And I think that in this regard President Clinton has proven to be an improvident steward of the executive power. In his August 1995 letter on repeal of the War Powers Resolution, he wrote, "I strongly support the principle of consultation with Congress on the deployment of U.S. forces. To sustain U.S. support for such deployments, Congress and the American people must understand and accept the potential value of such operations as tools of U.S. interests. Whenever possible, Congress and the American people should be participants in the decisionmaking process. I am committed to improved and regularized communications and consultation with Congress on these important issues." But that has never occurred under this President. The President abruptly scheduled his 1994 incursion in Haiti precisely to abort unfavorable votes in both Houses on that operation, even though he had already delayed such action for years. And, as the so-called Iran-Bosnia episode demonstrates, the President concealed from Congress facts that would have led to an overwhelming bipartisan repudiation of his Bosnia policy. And the President utterly failed to develop a consensus for his security policies in Iraq prior to Operation Desert Fox, or in Kosovo or Bosnia prior to the bombing campaigns. The relevant comparison in this respect is not just to President Bush and what he did before Operation Desert Storm, but to what President Reagan did not do in Nicaragua and El Salvador. I think it is beyond question, that he could have unilaterally deployed U.S. forces to create a situation in which Congress's hands were tied by a fait accompli. He did not do so. But after President Clinton failed to develop an adequate consensus in the nation and in Congress, he did so act to the Congress' hands and create a fait accompli. And I think that, by comparison with President Reagan's forbearance in Central America, that reflects very badly on him. The President's assertions of unilateral authority in this regard may come to resemble the presidential assertions of war powers in the 1960s and 1970s, in particular before the 1970 Cambodian incursion, which did more than anything else to build a case for the War Powers Resolution and to give it an impetus in Congress that it had not previously possessed. I hope very much that this is not the case, and I hope that future presidents will prove to be better and more cooperative stewards of the power which they undoubtedly possess. MR. FISHER: I would like to review the principles and practices that prevailed until 1950, when, as I will explain, President Truman shifted the paradigm by initiating the modern practice of securing approval from the United Nations (UN) Security Council. Our practice today is that Presidents either go to the UN Security Council to get their "authority" to go to war, or to a regional body such as NATO. The question is whether such approval satisfies the Constitution. I say that it does not. Had the Framers wanted to give the President full power to initiate war, they had a good model with William Blackstone. Blackstone put all such power in the Executive — he would have allowed the President to declare war, make treaties, appoint ambassadors, issue letters of mark and reprisal and would have given the President powers over foreign commerce and the power to raise armies and navies. Clearly that is not what the Framers did. If you look at Article I and Article II of the Constitution, you will see that most such powers went to Congress. To the extent that the President is included, he is in a "share" capacity with the Senate, as with treaties and appointments. To be sure, the President has certain defensive powers. By the way, I say that not because of the change in language from "make" war to "declare" war. Even without that bit of legislative history, it is plain that any nation has the right to protect itself. If Congress is not in session or is not able to act, then of course the President can act defensively. The issue is how much a President can do in an offensive capacity. 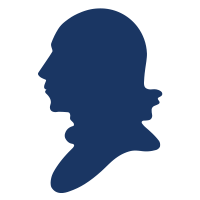 The principle followed by the early Presidents was reflected in the statements, for example, of George Mason, who said that he was for clogging rather than facilitating war and James Wilson, who was of the view that it would not be within a single man's power to take our nation to war. 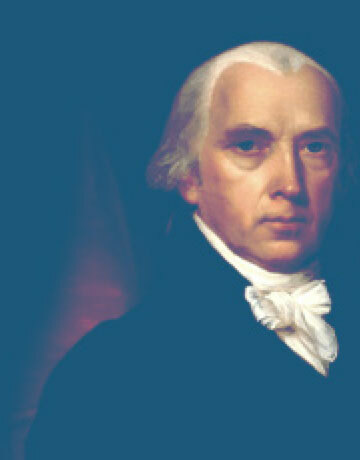 The same principle was reflected in the practice of our early Presidents. President Washington never used force, except in a defensive situation. The Secretary of War, Henry Knox, the same. 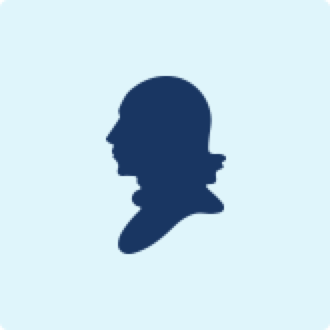 President Washington and Secretary Knox agreed that anything of an offensive nature would require action by the Congress. President Jefferson, both as Secretary of State and as President, followed the same learning. As Secretary of State in 1793, he talked of the consequences of making reprisal on a rival nation. Jefferson thought reprisal a very serious thing, indeed, an act of war. He said, "Congress must be called on to take it, the right of reprisal being expressly lodged with them by the Constitution, and not with the Executive." You will also recall, in 1801, the situation with the Barbary pirates. Jefferson took certain defensive actions but went before the Congress to explain himself. He told the Congress that anything beyond defensive action was for them to authorize. Beyond the line of defense I cannot go, he thought. Also, during a dispute with Spain in 1805, President Jefferson said in very clear language that "Congress alone is constitutionally vested with the power of changing our situation from peace to war." In short, our Presidents followed the principles that the Framers espoused in practice, although President Polk clearly was an exception. His view was that once troops were in an area of dispute, the President could provoke hostilities. Although Polk thought that in such a situation, war exists, that is a legislative judgment. But what Polk did was to say that if hostilities exist, it is up to Congress to decide whether they constitute war. The early court cases also are consistent with the Framers' principles. John Marshall, for example, in Talbot v. Seeman (5 U.S. (1 Cranch) 1 (1801)), said that "the whole powers of war being by the Constitution of the United States vested in Congress, the acts of that body can alone be resorted to as our guides in this inquiry." And in 1804, with Little v. Barreme (6 U.S. (2 Cranch) 170 (1804)), where a proclamation issued by John Adams conflicted with statutory policy, the Supreme Court held that the statute prevailed over the proclamation. At the Circuit level, the Smith case in 1806 questioned whether someone in the Executive Branch had given Smith permission to take a military expedition. The court had no difficulty in holding that the power to permit such an expedition is for Congress alone. It answered the question whether the President has the power of making war by stating that it was "the exclusive province of Congress to change a state of peace into a state of war." We think of the Prize Cases (67 U.S. (2 Black) 635 (1863)) in terms of the language of the Court — that President Lincoln did not have to wait for Congress to declare war before acting in the sense that he did not need Congress to crown it with a precise name. But in that case the action taken still was defensive, consistent with the principle I have been talking about. Justice Grier said that the President "has no power to initiate or declare a war, either against a foreign nation or a domestic state." Not only was that the position of the Court, but also of Richard Henry Dana, Jr., who presented the case to the Court on behalf of the United States. Dana argued that what President Lincoln did in the Civil War had nothing to do with "the right to initiate a war" because, "as a voluntary act of sovereignty, that is vested in Congress." Everything changed fundamentally in 1950 when President Truman went to war against Korea. Truman secured two resolutions from the United Nations Security Council. The second one supposedly authorized his actions, but the truth is that Truman acted before that second resolution was issued. The Truman model is what President Bush followed in 1990. He secured a resolution from the UN Security Council. And although he also sought congressional support, he did not seek congressional authorization. The January 1991 statute finally authorized the Gulf War. President Clinton has done the same as President Bush. He obtained a resolution from the UN Security Council for the Haiti operation and secured approval from NATO for the air strikes in Bosnia, also at that time acting under Security Council resolutions. When President Clinton could not get Security Council resolutions, as in the war against Yugoslavia, he turned wholly to NATO. If you think that this is an acceptable state of affairs, you must believe that the President and the Senate can change the Constitution through the treaty process, whether it is the UN Charter or whether it is NATO or SETO or another defense pact. Because that is what has happened. You would have to believe that through the processes created by treaty, a President could go to NATO or to the Security Council, for "authority" and by doing so eliminate the House of Representatives' role. By the way, it really eliminates all of the Congress, because under this procedure, the President starts with support from some outside body. At that point, Congress only has the power to cut off funds or to take some other limiting actions after the fact. Once you are willing to accept that, then I think that you are very close to accepting that the President, on the authority of some treaty, could take money from the Treasury Department without an appropriation. Perhaps you will protest that, well, that would be against the express language of the Constitution. But I fail to see the difference between the one violation, taking money from the Treasury without an appropriation, as opposed to the violations we have seen in recent decades where Presidents are not acting in a defensive capacity. They are initiating war, exactly what the Framers said that the President could not do. All that they are doing is setting up a model to avoid that stricture. I can see that this model can make a difference — clearly, it makes a political difference. But to me, there is no legal difference and no constitutional difference. I am satisfied to say that modern Presidents simply are acting unconstitutionally. And Congress so far has declined to protect itself. Although it always huffs and puffs and passes some sense of the Congress resolution, in the end it never really joins the battle. Also, as you know, when Members of Congress go to court to try and stop the President from acting, the courts regularly tell them that they are in the wrong forum. Get out of court, they say, and go back to Congress to build a majority. That advice from judges, mind you, is perfectly correct; otherwise we will have some group of 20, 40 or 50 Members trying to get a favorable decision from a court when they should be working to make a majority to stop a President from acting unconstitutionally. Those are my main points. I hope that as the discussion moves along we will be able to determine where we stand constitutionally. JUDGE SOFAER: It is hard to believe that in a country of our sophistication, with the advanced concepts we apply in all areas of our lives, in our financial lives and in our international affairs, we actually have allowed the dealings between the President and the Congress on issues of the use of force to be governed by such an absurd and totally irrelevant law. It is just astonishing that we have permitted this, but surely we have, since 1973. It has become something of a ritual. Everybody invokes it, and some people bring suits over it. The latest suit was brought by Representative Tom Campbell, who, by the way, used to be my Congressman in California. Campbell is a very intelligent man, a Professor at Stanford Law School. Yet, he brings litigation that has got to be one of the laughing stocks of constitutional doctrine in recent decades. Many issues will come up about the case, but perhaps the most dangerous aspect of the decision is the fact that it was based on standing. The court's standing holding suggests a broader ruling than had it simply held that the Congress had in fact given its approval, because the rationale for the ruling that the Members led by Campbell lack standing is that there is no clear conflict between the Congress and the President. And if that is the case, then all the President has to do to avoid Member suits is to be in a situation where Congress has not explicitly told him not to act. I have always been of the school that believes there are many areas in which the President cannot act without some form of approval. The President is at great risk when he acts unilaterally without any sort of approval, express or implied, based on history or on politics, or without some real connection to the Congress. So, I think that this District Court opinion, although it is well-reasoned, has consequences that ironically undermine the passive virtues that Bickel taught us — standing is there to preserve. Instead of simply saying that the Congress cannot redefine the English language and argue that what it did was not approval and accordingly holding Congress responsible for what it clearly approved, the decision goes off into this very abstract area which results in a ruling that says the President can, in effect, act absent a clear conflict with Congress. And only an unambiguous declaration that the President should not have acted can create such clear conflict. One frustration that I have about the War Powers Resolution debate stems from the historical distortions that friends like Lou Fisher and his supporters engage in when they claim to describe the history of the way Presidents have acted in the United States. I wrote a book; which I worked on for years. In doing so, I looked into the sources behind each, early presidential action, and I would like to take on just one of the descriptions that Lou Fisher gave earlier — President Jefferson's assertion that he could only act defensively because Congress had not authorized him to use vessels offensively and actually to seize an enemy vessel. The reason this is a very important episode is because, if you just put aside the War Powers Resolution and all the rhetoric and nonsense that goes with it, one of the first things we did as a nation was to provide the President with some vessels. It was a very important action. We had no public vessels. As a country, we were relying on the British Navy to protect our commerce in the Mediterranean. Once we broke with the British, we needed some serious ships, with guns. What were those guns for? What were those ships for? We knew. Everybody in the Congress got up to talk about these ships. We have got to give the President some frigates, they said. We have got to give the President the capacity to protect our trade in the Mediterranean from the crazy Tripolitans and the Moroccans, and the pirates who were basically declaring that they owned great parts of the Mediterranean Sea and demanding that we pay them tribute in order to sail through. No doubt exists as to what purpose the ships were meant to serve. They were not meant to be put into some kind of museum. No, the ships were to protect United States commerce in the Mediterranean. In light of this legislative history, Congress did not have to put anything into the laws they passed when they provided money for those vessels. It was plain that Congress meant to give the President the power to protect American shipping. And when a frigate on patrol saw a pirate vessel come out of a harbor, and it was plain that the vessel was a pirate vessel, either because it had attacked or threatened the United States vessels, it was expected to prevent the vessel from further attacks. What happened in the case referred to by Jefferson was very simple, and the record reveals it: the American Lieutenant, Sterrett, on his way to Cyprus to get water for the Mediterranean fleet, encountered a pirate vessel that had attacked several American ships. Although he commanded a much smaller vessel than the pirate ship, Sterrett outsailed the big pirate boat and ripped it to smithereens, shooting off its sails and rendering it totally incapacitated. After that, Sterret said, realizing he still had to go and get the water and was unable to tow the pirate vessel, he left it sitting in the Mediterranean rather than capturing it as a prize of war. When Sterret got back to the squadron, he told his commanding officer what had happened. And the commander sent a message back to the U.S. explaining that, since the Sterret's orders were to get water, he left the pirate vessel in the middle of the Mediterranean rather than capturing it. Jefferson then made up his totally unsubstantiated story for the purpose of convincing Congress to give him explicit authority to go ahead with a war, against Tripoli, not just naval war engagements — which were already authorized — but a war. He said to Congress that he could not act offensively unless Congress awarded authority to do so. The instructions from the Navy Department to the Mediterranean squadron, which are documented, made no such distinction. They authorized commanders to capture, destroy or otherwise attack any pirate vessel in the Mediterranean. The instructions were absolutely clear. Jefferson just made something up to serve his political ends. Yet, there it is, cited over and over again for 200 years. And people continue to cite this instance of what essentially was political manipulation of words. Jefferson's whole career was one in which he acted like a Hamiltonian and spoke like a Jeffersonian. Now, let's look briefly at the War Powers Resolution as it relates to Kosovo. The War Powers Resolution is not only historically baseless, it is clearly ineffective in redefining the meaning of authorization. Congress cannot prevent the courts — or the public — from realizing that it has approved an action, even though it may not have referred to the War Powers Resolution in doing so. This in fact encourages legislative irresponsibility, as we have seen. It pretends that all sorts of authorizations, including authorization through providing funds for a specific purpose as in the case of Kosovo, is not authorization at all. Congress cannot legally limit authorization to a specific reference to the War Powers Resolution, and the 1973 Congress certainly could not bind a future Congress to abide by that artificial rule. Finally, and I think Mr. Cohen is correct in this respect, the Resolution encourages Presidents to disregard congressional power. It potentially misleads a President into thinking he has more power than he really does. And Presidents could be led to take irresponsible actions and dangerous actions because of this Resolution. The time has come to repeal it, and we should substitute something that is more consistent with our constitutional structure. 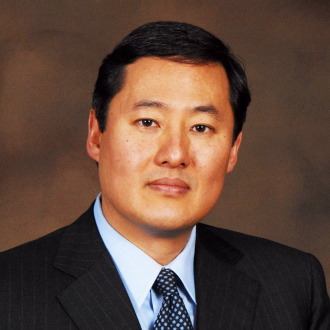 PROFESSOR YOO: Walter has generously agreed to start the discussion off, as it were, by allowing us to ask him to start with the question which is in many of our minds, which is, when Walter was a law professor, he signed a letter, along with fellow other law professors, saying that the Persian Gulf War would be unconstitutional without Congressional authorization because of the Declare War Clause. Then as the head of the Office of Legal Counsel, he issued opinions on Haiti and Bosnia which took a very strong stance, I think, as Ben said, on the President's inherent powers as CommanderinChief, and under the Executive Power Clause, to send troops broad without Congressional authorization. And then my understanding is that in the Haiti opinion, at least, there was some distinction drawn as to whether there was really a war going on, based on whether there were hostilities at issue. So I wonder if you could reconcile those positions, and then also what your answer means for whether Kosovo was Constitutional in your thinking. MR. DELLINGER: I wanted to start by answering the question about the differences in my positions on the Persian Gulf War and Haiti as a way of discussing an important aspect of the question of the control of law. The overall theme of this conference this weekend is the culture of law and the rule of law at the turn of the century, and it's important, I think, to address the role of Executive Branch lawyers. There are a number in this room and several at this table who have been Executive Branch lawyers, and what the role of Government lawyers is in reaching legal conclusions faithfully, especially in circumstances in which judicial intervention is happily unlikely. And this came up at the time of the President's planned deployment of 20,000 U.S. forces into Haiti. You will recall, before the mission lead by General Powell and President Carter and Senator Nunn, it was assumed that that would be a resisted deployment by the Haitian military, though it was being done at the invitation of the lawfully elected government, which was then installed at the Landsburgh Apartment building in Washington, D.C. But that it was going to be a serious combat. And the question arose as to whether the President could do that in the absence of Congressional authorization, which was not forthcoming. As the time approached for me to render a legal opinion on whether the President had the authority to do this, I was simultaneously attacked by Professor Lawrence Tribe and by the editorial page of the Washington Times. Professor Tribe wrote to the President and he argued that the proposed deployment in Haiti would be unconstitutional in the absence of Congressional authorization. And he said he frankly saw no constitutional differences between the proposed invasion of Haiti and the one in the Persian Gulf, pointing out that the position that I had taken as a professor, that prior authorization was required for the Persian Gulf War, and concluding his letter to the President by saying that if Mr. Dellinger was still a law professor, he would agree with me on this. The same day Larry Tribe's letter arrived, the Washington Times lead editorial was, "Where Mr. Dellinger Stands and Where He Sits," asking if I had adopted a different point of view than I had of the Persian Gulf War. And in a later editorial, "Has Mr. Dellinger Changed His Views Since Leaving the Academy," I was somewhat struck by the degree — when we were talking about the deployment of forces and a possible war — the amount of interest generated in whether I changed my position. I am by no means convinced that I would have agreed with Professor Tribe, had I been a law professor. To me, the less interesting question is whether there is a difference between the two "wars." I thought, and our opinion on Haiti suggested, that the President has wide authority to deploy U.S. forces in the circumstances of hostility, as long as it is not clearly a constitutional war, in terms of its nature, scope, and duration. I think, as I would rarify that analysis, it has a lot to do with whether I think the war is quite possible to extend beyond a twoyear appropriations period. That is, if you're sending 500600,000 troops against the sixth largest army in the world, you are committing the country for the future, well beyond what Congress has done by appropriations in the Persian Gulf. It was happily a short and decisive victory under General Schwarzkoff and General Powell, but could have been an enormous undertaking. And I think that the sense of the constitutional authority of Congress is that the nation not be committed beyond recall to a war of that magnitude and duration is a strong one. If I have any doubts about either of these positions, I have, as a strong presidentialist in many areas, doubts about whether Congressional authorization was necessary for the Persian Gulf War, but I'm still inclined to believe that it was, but that the deployment into Haiti, for reasons I will address, was clearly constitutional. I think Kosovo is a very difficult case as to whether it's constitutionally valid, and I would have to know more about the timing and the War Powers to do it.. And I did have a chance to address these issues as I was attacked from the left by Tribe and all the other professors, Ely, Lou Fisher, et cetera down at the University of Miami, subsequently, for what they saw as a hawkish position on my part. To me, the more interesting question is, suppose, for example, that my opinion was a different one as head of the Office of Legal Counsel, on Haiti, than that which I would have reached as a law professor? Is that necessarily wrong? First of all, I learned a great deal from dealing with my colleagues who had been career National Security legal advisors at the Pentagon, at the State Department and the military branches, and was informed by that experience, and one may change views for those reasons as well. The world looks a little more complex from the Executive Branch than it does from the campus of Duke or Harvard. But more importantly, it seemed to me that what is more relevant is not what I might have said or thought at the floor of a law school convention, but what Robert Jackson wrote as Attorney General, justifying the sending of U.S. forces into Greenland at a time that it was under the control of the Nazis, without prior Congressional authorization in 1940. And, in the positions taken by Assistant Attorneys General Rehnquist, Scalia, Barr, Luttig, Cooper, and others, there is a long history of Executive Branch lawmaking which I believe is entitled to a substantial degree of stare decisis effect. I very much agree with Ben that it was unfortunate, institutionally, that we had had these long periods where each political party had its own branch of government, and we were accustomed to congressional branch Democrats and executive power Republicans. And what was quite dangerous, I thought, in January of 1993 when I came to OLC, is that there was — and I know this includes some heads of OLC who subsequently went on to the U.S. Supreme Court and can't speak freely — certainly a concern that the great traditions of OLC were going to be undermined including the tradition of standing up for Presidential authority, a tradition that opinions that traced back to Assistant Attorney General Scalia. There was, in short, concern that the party of Congress was taking over OLC and would give away the store, with supinely subservient opinions to Congress. And, indeed, many in the Administration — where the White House was peopled by Congress because Democratic Congressional aides who flooded into the Administration — wanted to give away the store. Now, I thought that I had a strong obligation to continue in the tradition of OLC of defending the legitimate Presidential authority. We had to fight, for example, former Congressional Democrats, i.e. staffers who moved into the Executive Branch and actually proposed legislation, long resisted by Presidents Reagan and Bush, which would have required the President to do an environmental impact study before submitting a treaty to Congress. And the Administration was going to support this. I said that Presidents have fought this for dozens of years. In my view the President has a clear, constitutional, textual authority to submit treaties of power that and can't be conditioned on an environmental impact study or anything else. And I felt strongly during my tenure that we needed to act within the tradition of Executive Branch authority, that every President had a solemn obligation to hand the office on to his successor with its essential power unimpaired by adverse precedents. To me, the most useful thing was to call upon my predecessors, and in the most useful day I spent, I had Bill Barr, Ted Olson, Tim Flannagan and Charles Cooper spend a day with me in a secure facility at the Justice Department, advising me from their institutional perspective on all the things I needed to know about interbranch relationships, and that the continuity in Executive Branch lawmaking is vitally important. I persuaded a number of those who had come in under Presidents Reagan and Bush to stay on as attorneys at OLC, and to make sure that our decisionmaking involved drawing upon all of those viewpoints. We intended to maintain the considerable amount of continuity. Let me close very briefly by turning to the exact issues: I believe that there is a long tradition of Executive Branch authority defending the President's authority to deploy U.S. forces. That pattern of Executive conduct made under claim of right, extended over many decades, engaged in by Presidents of both parties, does evidence broad constitutional Presidential authority. Congress has the power at the beginning and the end, because Congress has to appropriate the money for a military, and Congress can cut off that money and dictate its use. In the end, I believe that the President's authority has been seen by Presidents from the beginning as not bound by any particular clause, but is an authority to protect the vital national interests of the United States. Here is where I think the argument has gotten completely off track: The Declaration of War Clause means what it says, but the power it confers is the power to declare war, and nothing more. If you want a declaration of war, the place you have to go to get it is Congress. They're the ones that sell declarations of war, and nobody else in Washington can sell or issue one of those. That does not, however, mean that the only authority over warmaking powers has to be exercised in that form. Admittedly, the Framers did believe that the President, alone, could not enter into war, but that's not because of the Declaration of War Clause; it's because of the clause that no funds may be expended unless authorized by law, that is, by Congress. The Framers knew that the President could not launch a war against Spain without coming to Congress and saying, I want an armada, and Congress would have to appropriate the money and could declare to do so..
What has happened is, in the post World War II era, since 1945, Congress has, for better or worse, given the President a worldwide deployment of forces to command, with the authority to move those forces around, often into dangerous situations. But the President can move forces from Saudi Arabia to South Korea to Haiti, and Congress has authorized that in twoyear installations, and has the power to place restrictions on that as it sees fit. But i think Congressional funding of a world-wide military that is a powerful validation of Presidential warmaking power, that is, the power to deploy forces around the world, at least short of those that engage a significant U.S. commitment beyond the normal appropriations period. I think that it's an excellent time, because we don't know what the future will bear about our partisan control of different Branches of the Government, to think through these issues. But I would be hesitant to accept crippling restrictions on Presidential authority. And the one thing I believe is that however we resolve these questions, it ought be resolved by a debate between the President and Congress, and ought not be resolved by a Federal District Judge sitting in Washington, D.C. AUDIENCE PARTICIPANT: Professor Fisher gave a glancing blow, but the hundreds of deployments that we've had don't bother me nearly so much as the most recent thing in Kosovo, where the Atlantic Charter, Atlantic Treaty, has, without the advice and consent of the Senate, been amended to change the North Atlantic Alliance from a defensive organization, into an operation that could conduct offensive operations outside of the member states of the Alliance. And that one clearly seems to me to have another constitutional problem with it, and that is that — the House has nothing to do with it. It's the Senate who is being snubbed on this one, because you have a President that unilaterally changes a treaty with his surrogate in the Labor government in the UK. And nobody on the Hill has anything to say about it. PROFESSOR YOO: So is the question whether the President's unilateral interpretation of the NATO treaty to allow outofarea engagements constitutional or unconstitutional? MR. FISHER: I think it's unconstitutional, but there is no remedy because, as you have suggested, Congress is not going to do anything about it, and there's no expectation that it would ever be litigated in any way in the courts. So, we have a situation where that is just one example of others where there is a vacuum, a political vacuum, the President steps in, Congress doesn't do anything. And I think that every time we do that, we debase the constitutional system. But it's a debasement without a remedy. PROFESSOR YOO: Abe, I think you should have some thoughts on this one. JUDGE SOFAER: Yes. I don't agree that there is a vacuum. I completely agree that NATO has asserted a power that is outside of the treaty as it was written and approved. But, in Kosovo clearly Congress did approve the action by providing funds specifically for the purpose of the Kosovo action under any sensible interpretation of what approval is. Kosovo is the best example of why the War Powers Resolution could mislead a President to think that he is free to go beyond the authorization in a treaty, by declaring its expansion without obtaining the Senate's consent. It's a very dangerous thing that has happened; I completely agree with you. MR. DELLINGER: I would concur with Abe's comment. I don't think that the President can legitimately call upon that revision of the treaty as justifying the deployment of U.S. forces in Kosovo. Whether they might be justified outside of that, that is, take away that support, is another question. That is, the President's power to deploy forces around the world, is not restricted by Congress to any particular geographical areas; that creation of that worldwide force, that maybe Congress wants to begin placing more restrictions on where that force is deployed. But to carry out the larger foreign policy objectives of the United States, the President may have that initial authority. I am concerned. And, indeed, the War Powers Resolution, oddly enough, confirms the idea that the President has the authority to deploy U.S. forces into situations of hostility without Congressional approval. It says that when the President introduces U.S. forces into circumstances of hostility or where imminent involvement in hostilities is likely, comma — and it does not follow, he shall be impeached. It says he shall notify within 48 hours and withdraw within 60/90 days. That provision of the War Powers Resolution has never been violated until possibly Kosovo. That is, every other area is — every other example is compliant since the adoption of the Resolution. No President has had forces in hostilities more than 60 days without Congressional authorization since that time with the possible exception of Kosovo. PROFESSOR YOO: You asked me before the panel, and I forgot to do this, to give some facts about Kosovo. The Kosovo bombing lasted 79 days, which was 19 days beyond the 60day clock, and then, you know, we inserted 7,000 troops into Kosovo, and they're still there now, and the bombing started in March, so it's been quite some time. MR. DELLINGER: Well, there are not hostilities now. I'll give you the 79 days of the bombing. What is odd about it is, there is a great myth out there that the War Powers Resolution has been consistently violated. It has never been violated. And the reason I think there wasn't public protest over the unlawfulness of the President's continuation of the bombing in Kosovo is, everybody assumed this was old news. It wasn't. When I say it's never been violated, I mean, the core provision. No U.S. President has introduced, without Congressional authorization, U.S. forces into hostilities which, if continued beyond the 60day period, until the 79 days of bombing in Kosovo. And nobody treated it as an event because everybody adopted the myth that lots of Presidents have violated the War Powers Resolution. No one ever has, at least before now. MR. COHEN: I think Judge Sofaer is right, that there is a good argument that Congress did subsequently ratify what the President did by passing the supplemental appropriation. That's not an argument the War Powers Resolution permits or accepts, but it is a good legal argument. But if we assume that this is one of the cases in which Congress must act before the President can initiate the use of force, then that's obviously not any sort of authorization that's timely. In fact, at best it would be a ratification or an indemnification of what the President did, almost the way Parliament in the 17th Century would pass acts of indemnity to wipe away the liability of the Crown and its officers for illegal actions. But this raises an interesting further question. We all believe that Congress can, through legislation, fetter what the President could do in the absence of legislation. We apparently always think that if the President introduces forces, Congress can then subsequently order the President to get them out, as it did in Vietnam, Cambodia, Somalia, Rwanda, and a variety of other cases. But, of course, Congress, 26 years ago enacted into law a standing, pre-existing requirement that in every single instance the President must withdraw forces from hostilities after 60, or at most 90 days. And so the question is, was that requirement implicitly amended for this one instance by the supplemental appropriation. If not, it really does very squarely present the question whether such statutory limitations on the President's authority are constitutional. AUDIENCE PARTICIPANT: Let me ask you an important question. Did the Administration — have they publicly or to Congress, provided a legal justification? AUDIENCE PARTICIPANT: Have they said that they believe the appropriation? MR. DELLINGER: I would fault them badly on that. The one thing I felt an obligation to do when Senator Dole wrote to the President, asking what was your legal justification; I thought we had an obligation to answer that. And our Haiti opinion is in the form of a letter to Senator Dole and Senator Thurmond and Senator Cohen, setting out what we thought was the basis for the lawfulness. I do think that that is a very important obligation. It has subjected us to criticism from the left and the right, but that seems to me to be vital as a part of the rule of law process. And that if it is the President's view that the bombing in Kosovo was justified, notwithstanding the War Powers' 60day clock, by the appropriations, I would like to see that publicly — you know, once the bullets have stopped flying — it may not be a time for a legal opinion when you're in a shooting war, but youought to publicly set out for criticism and debate, what your theory was. JUDGE SOFAER: No, no. If you were sitting in your little room with the people who were in OLC before you got there, and you asked them — you told them you wanted to issue an opinion like that, they would tell you that we don't issue opinions about that part of the War Powers Resolution because that part of the War Powers Resolution has always been deemed unconstitutional. And to issue an opinion on it would elevate it in its respectability to a point which it has never achieved. The informational aspects of the War Powers Resolution have always been treated as valid, and are always at least referred to. And that is the tradition that you, Walter, would have deferred to if you were still in there. EDWIN WILLIAMSON: I would like to echo the view that I think it's a real shame that this Administration has not articulated either a domestic or an international position on the use of force in Kosovo. And if I can just make one little sort of statement, I'm very pleased to hear, Walter, your interpretation of the Declaration of War Clause. I have always felt or believed that Al Rubin was right in an article he wrote in the Foreign Service Journal back in '91, where he says that when in 1625, a declaration of war has obviously legal functions unrelated to the use of force, it turned the neutrals into belligerants, et cetera. I would also add that I think that when the use of force is taken in conjunction with a Security Council resolution such as 678 that was gotten in the Gulf War, that really sort of eliminates the need for a declaration of war, because under Article 25, all members are required to follow the Security Council resolution, so there really isn't the concept of neutrality at that point, among the members of the United Nations. Walter, I'd like to probea little bit, though, if I can — and this is all done in the spirit of good fun — but tell me, what would you have done, had you been in OLC in December of 1990 or in January of 1991? Second, I wonder if it would be possible that the next time a letter is written that is so unequivocal as to what the Government must do, if we could have a little footnote that says that we understand that those in the Government are justified in taking a different position? MR. DELLINGER: I think your point is very well taken. I think the casualness with which I look back on law professors' letterwriting, including me, including mine, the arrogant assumption that you know the national security risks that would be known to President Bush and his advisors as they looked at the Persian Gulf situation strikes me as a combination of arrogance and ignorance intersecting at a pretty high maximum. It's not that I necessarily think that it's wrong to think that there needed to be Congressional authorization before the Persian Gulf, but it is a question on which reasonable minds may differ and take pause, at best, in the tone of that letter. I must say that there were 11 professors that signed the Persian Gulf letter, ten of whom joined in a lawsuit in 1990. I did not, because I thought it's one thing to state one's views, but it's another thing that a Federal Judge ought to decide a question of the political branches of government. If Congress had voted down the authorization and were firm in their views, they could have initiated impeachment proceedings or cut off the funds. But whatever, I would not have supported either of those, let me hasten to add. But the answer is not, I think, in lawsuits in Federal Court. JUDGE SOFAER: John, let me comment. You raised the issue of the Security Council resolution of November 1990. And I think there is a lot of sentiment here in the room that the Clinton Administration had been faulty on not articulating its legal analysis on the war in Kosovo. It has never done that on the continued bombing in Iraq either, and the argument basically is that all these are consistent with the November 1990 resolution. If you really believe that, then Congress, by adopting the January 1991 statute which covers the November Security Council resolution has provided authority into the future in perpetuity. And I think that's a whacky idea. But the Administration has never even articulated that either on the continued bombing in Iraq. AUDIENCE PARTICIPANT: When you read any number of cases on these topics, it becomes clear that although the courts are very hesitant to rush in in the war powers arena when Congress is asking them to, they quite gladly parse the exact same issues when the rights of an individual are affected, such as in a salvage case like Bass v. Tingy, or in a Soldiers and Sailors Civil Relief Act case where a question of whether the country is at war is at stake. And I see kind of a similar and less defensible example of the same thing in the Campbell v. Clinton District Court's suggestion that Service Member standing may lie where the members of Congress do not have standing. What I would ask the members of the panel, and Professor Dellinger, in particular, is, to what extent do you think that belies a conscious awareness on the part of the courts that the institutional authority of the Third Branch is at a low ebb in the war powers arena, in particular, as opposed to other separation of powers issues that may be less politicized? MR. DELLINGER: I think the reason the courts ought to stay out of issues that actually directly affect the deployment of forces is not really because of standing. In that sense, I think standing is a scary view, because while members of Congress, I believe strongly, don't have standing, it's hard to imagine why in a basic sense, a Service member wouldn't have. A Service member is stationed in Pope Air Force Base in North Carolina, particularly if he or she were an inductee about to be sent against his or her will on the order of a President, to a war they believe is illegal under the Constitution, you can't imagine sort of a better case for individual standing, unless you're someone on death row challenging your incarceration. I mean, there is a personal stake in the outcome, and if you have a claim of unconstitutionality, you surely have standing. So that it would seem to me that the reasons, that getting rid of these cases on Congressional standing, is a kind of shaky ground because some Service member who does not want to fight in what they believe an unconstitutional, unauthorized setting, surely ought to have standing, and the courts thus need some other doctrine to say that these are issues to be resolved by the political branches. Perhaps the courts should even say, that no individual Service member has standing until Congress has exercised its own authority to disapprove, I know that changes the inertia point, but if the President vetoed — if Congress said, stop this war in Kosovo or wherever, stop it now, passed it, sent it to the President, he vetoed it, the House overrode overwhelmingly, the President's veto, and 34 Senators only sided with the President, then someone may say, we may have to — the Judicial Branch may have to decide this. I wouldn't favor it then, but I would at least make the political branches go first. I think we'll never get to that point, and I would make the political branches go first, at a minimum, and perhaps make their decision final. PROFESSOR YOO: Lou, you're probably the one only one on the panel who says the courts should review these. MR. FISHER: No, I've never said that. PROFESSOR YOO: Oh, you haven't? MR. FISHER: I said in my remarks that I think judges do the right thing. As far as Judge Sofaer's comment about the War Powers Resolution, I see no merit in it at all. I've written an article saying it should be repealed 100 percent, not the way the House is going to do it to keep the reporting and consultation. But I think it's pure mischief, and I think it was a very dishonest statute, suggesting that Congress was reasserting itself, when, in fact, it was giving away power. JUDGE SOFAER: And that's where Lou agreed with me that the War Powers Resolution, while it says it doesn't create any new Presidential authority, recognizes it by saying when the President introduces U.S. forces into hostilities without prior Congressional authorization. MR. DELLINGER: But Presidents don't rely on that. The last thing they would rely on is that. The Presidents want to assert that they've either got inherent power, or it's been approved. We've never relied on — I mean, we never relied on that part of it. MR. FISHER: And the Justice Department did rely on the War Powers Resolution, which is the last thing that the attorneys wanted to get into because it did give away power.